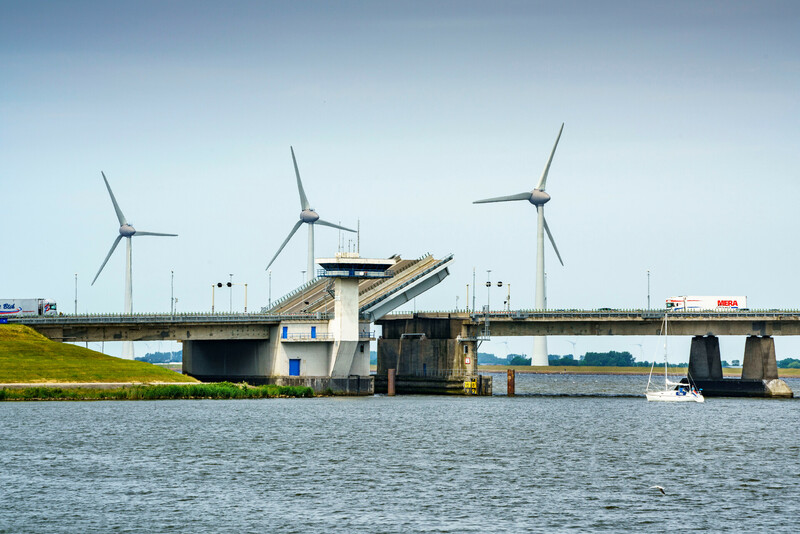 Along the dikes of the IJsselmeer on the west side of the Noordoostpolder lies one of the largest wind farms in the Netherlands with a total of 86 wind turbines on shore and near shore. The wind farm generates around 1.4 billion kWh of clean renewable electricity each year. That is comparable to the power consumption of more than 400,000 households. 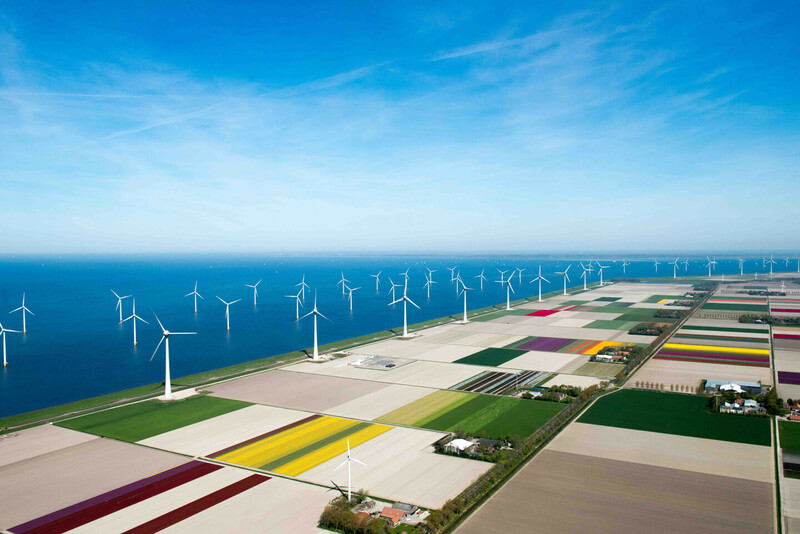 Noordoostpolder Wind Farm therefore makes a substantial contribution to the aims of the Dutch National Energy Agreement and is accordingly an important renewable energy source for the Netherlands. 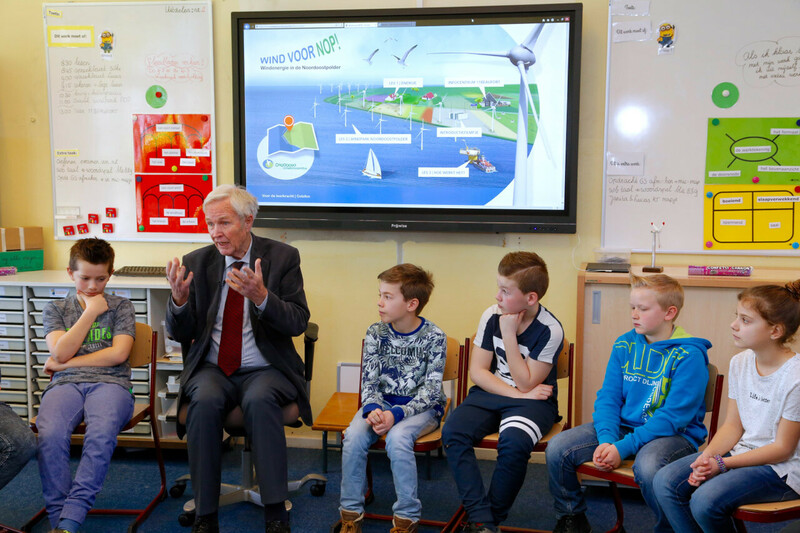 Furthermore, the wind farm provides extra employment in the region and offers options for equity participation to the residents and farmers of Noordoostpolder, Urk and former Lemsterland. 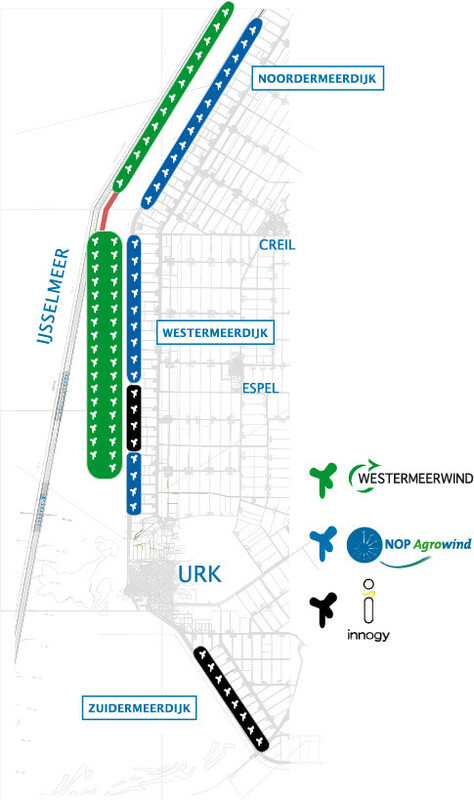 Noordoostpolder Wind Farm consists of three subprojects. Two of these are on shore and one near shore. 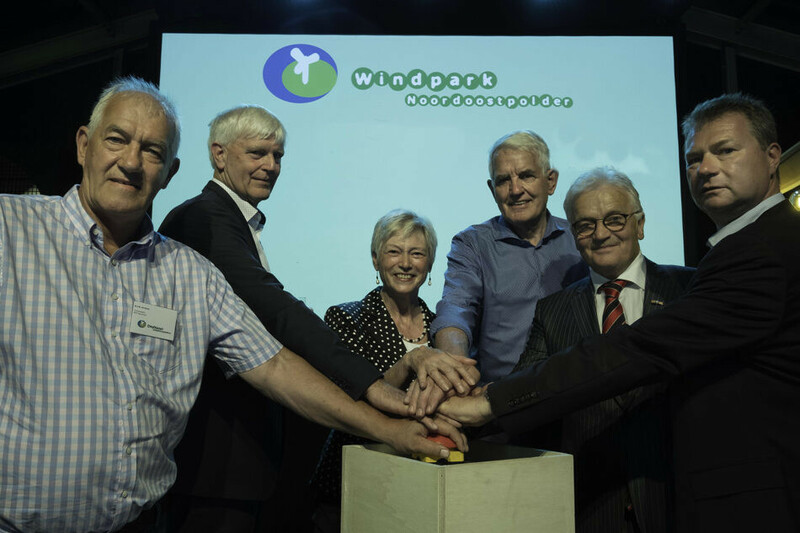 Three project partners are responsible for the development, construction and management of their part of the project: renewable energy company innogy and local companies NOP Agrowind and Westermeerwind.